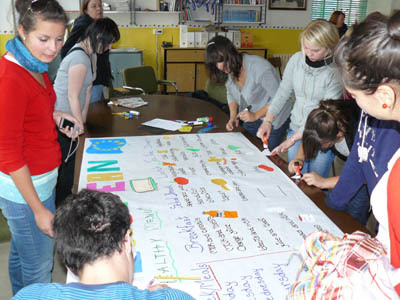 In November 2009, students and teachers from all the schools met a second time at the Colegio N.S. de los Desamparados at Ibi in the Spanish province of Alicante. Like at the first meeting, the 24 guest students stayed with host families. 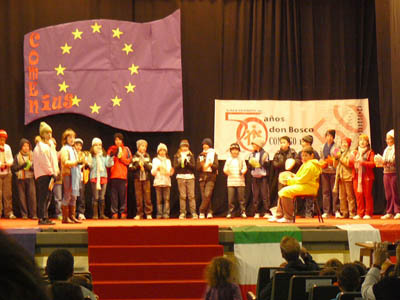 On the first morning, the guests were invited into the hall, where they watched a great performance by students from the primary section of the Ibi school about the local festival traditions. The headmaster, D. Tomás Sanchez, welcomed the students and the teachers involved in the project. Later that morning, the visitors were also received at the town hall by the mayoress of Ibi. 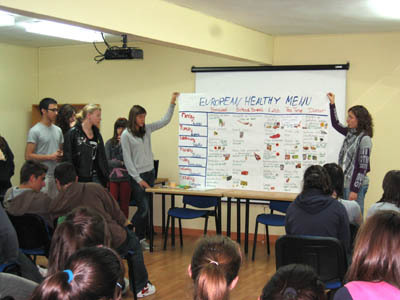 Much of the meeting was taken up by joint workshops in which the students from the seven schools co-operated. For example, there was a game of Pilota Valenciana, a sport that is popular in the region. Later on, international mixed groups worked together to devise European healthy menus, where it was found that not everybody had the same ideas of what "healthy" might mean. 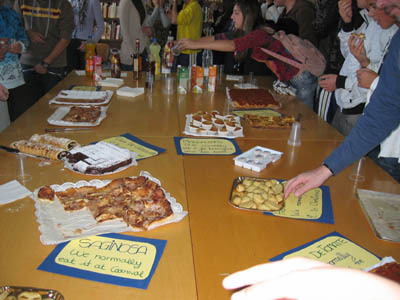 Later on, there was also the opportunity to try some traditional Spanish cakes and pastries. There was also a session where the students from each school presented the results of their work during the previous months. 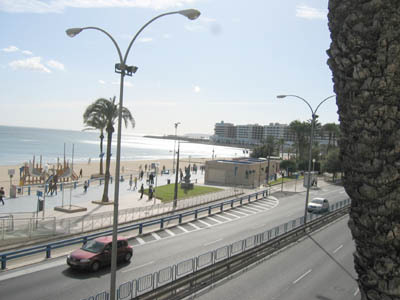 Apart from that, there was the opportunity to take part in lessons and, of course, to see the town and go to Alicante.